Your signage may be your client's first impression of your business. Let's make it a good one! We can help you with all your signage needs whether they are promotional, directional, informational, interior or exterior, small or large. Our creative design service will ensure that people are directed to your Company and/or product. Whether you are looking for a basic banner or a portable retractable banner stand our products and creative services will 'make them look'. 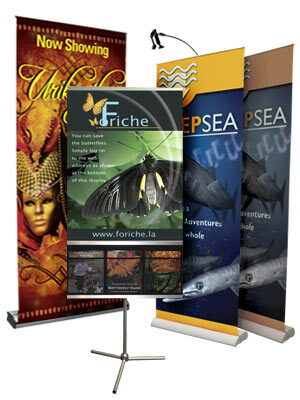 Click here to view our Banner Display products. 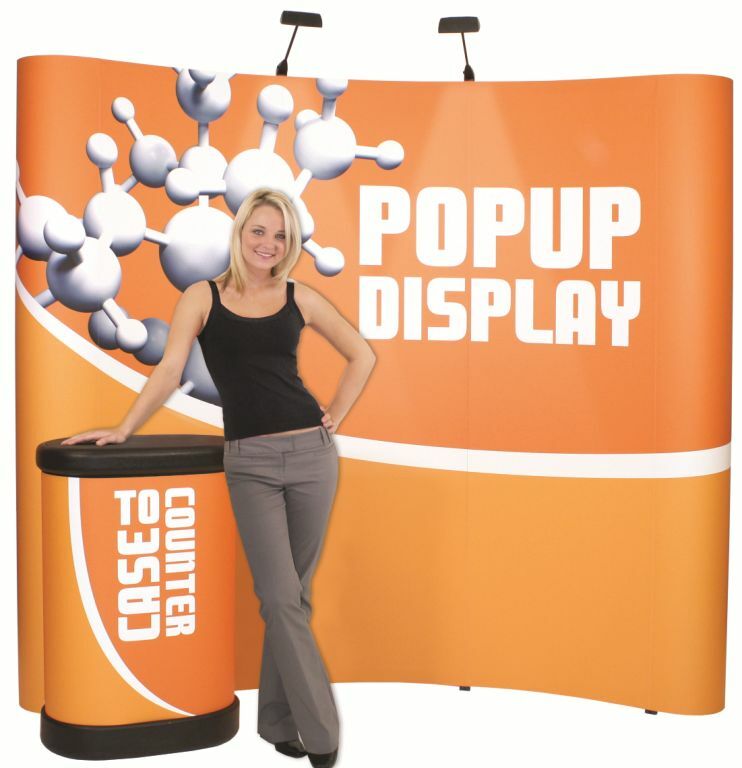 Pop-Up displays are the easy alternative for attractively displaying your product. They are quick to set up, easy to store and ship, and collapse to a fraction of their size. Click here to view our Pop-Up Displays products. 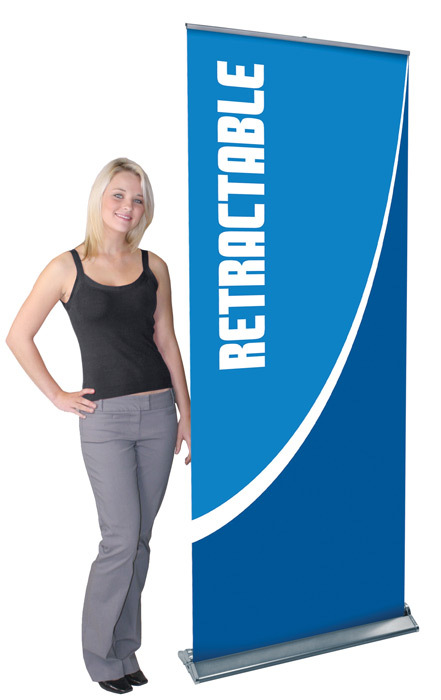 Display your brochures with pride in one of our literature racks ranging from 3 to 10 pockets. We offer a large variety of literature display styles for your office, showroom, sales centre or trade show display. Click here to view our Brochure Display Stands products. Your vehicle signage is a traveling billboard and should portray your Company's professional image and direct them to you. We have many signage options to choose from.